Q: What truck will this LED light bar fit in? 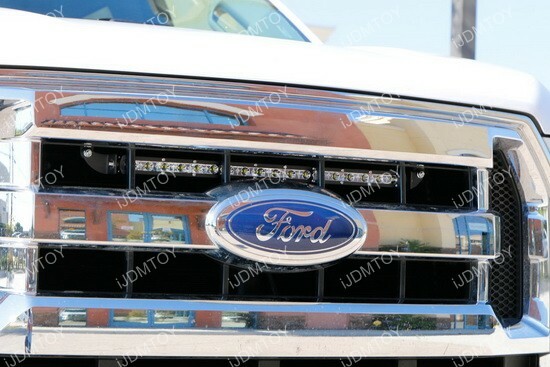 A: The 20" ultra slim 54W LED light bar will fit the 2015 and later Ford F-150. 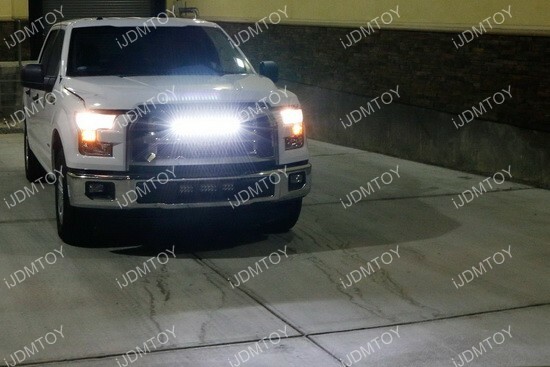 Q: Will this LED light bar block the air flow? A: When we first developed the LED light bar, we conducted a significant amount of research on truck forums based on members' feedback. The consensus is that there is no noticeable effect from the LED light bar blocking the air flow. 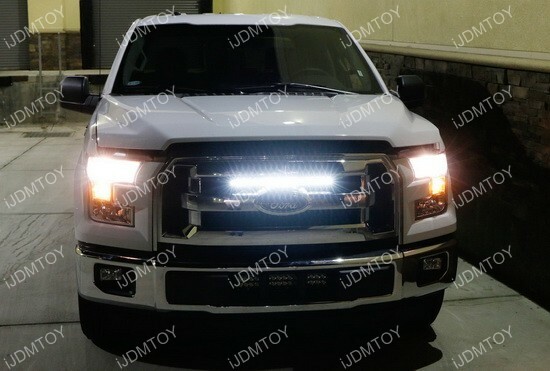 The front end of the truck is not completely sealed after the LED light bar installation so the air can flow in from the front grille as well. A: No, a relay wiring harness is not included with the behind-the-grille mounted ultra slim 54W LED light bar. You may purchase a single channel relay wiring harness separately. 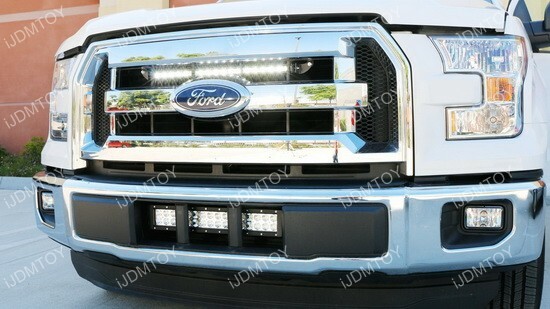 Q: How do I install the Ford F-150 LED light bar? A: For the first question: since the LED light bar is polar sensitive, so if the LED light bar does not light up at all, please try to switch the two wires around and try again. 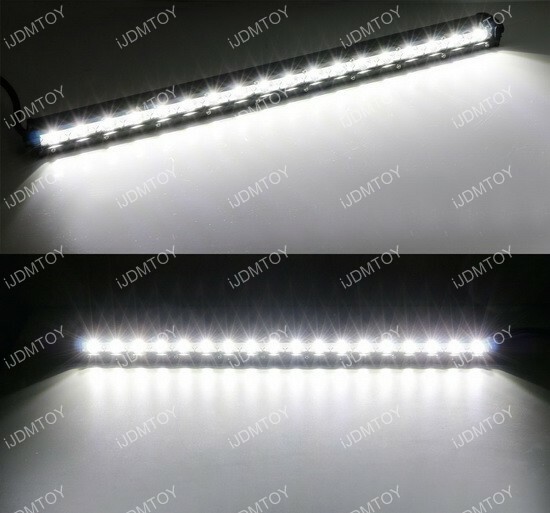 For any "part" light up/flickering, or "part" is not as bright as the other half issues, it indicates the power source is not strong enough to completely power up this high power LED light bar. It happens especially when you are testing the LED light bar with a 12V power supply (normally can only power up to 60W) or could mean your car battery is not fully charged or the battery is too old that does not hold enough "juice" any more. Here we have a video to further explain this for you or continue read about this at Why Parts of Your LED Light Bar Doesn't Light Up. LED light bars are all the rage now and this super slim LED light bar system is specially designed for the 2015-up Ford F-150. 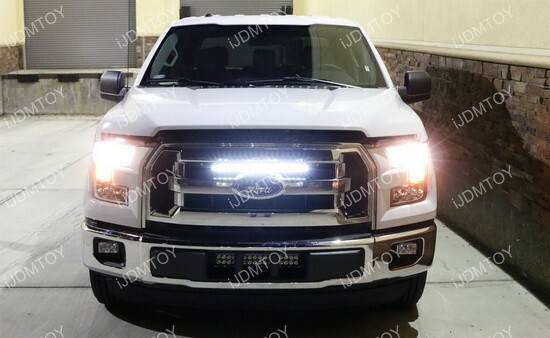 The LED light bar measures at a convenient 20" length and is powered by 18 pieces of LED lights to give you a total of 54W. If you wanted an LED application that is both functional and aesthetically appealing, then this LED bar will do the trick. 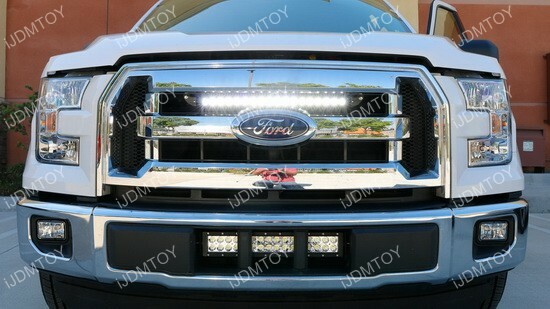 Please note this slim LED light bar will NOT fit in F150 Lariat grilles. This LED light bar has a very low profile for a very sleek look that not only looks great, but adds a ton of extra lighting as well. The ultra slim design accentuates the area behind the grille and adds additional lighting system for drivers who want to have more lights on their truck. This super slim LED light bar system is great for drivers who use their truck off-road, as work equipment, or even as a daily driver. 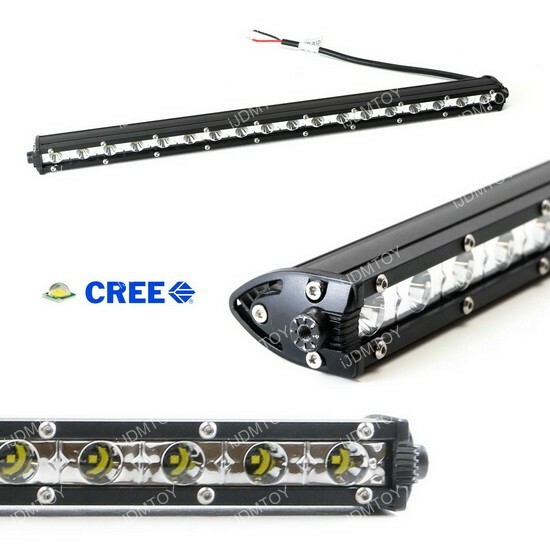 Unlike other conventional LED light bars on the market, the unique brackets are specifically created so that there is absolutely no modification required. Simply bolt on the brackets together and onto your F-150 and mount the lights on. Please note that this LED light bar kit does NOT include a relay wiring harness with a switch. Wiring was a bit hard, but after I fully installed this LED light bar my Ford f150 looked great. It was worth it!